Pictures from the worlds first RFC 1149 implementation. 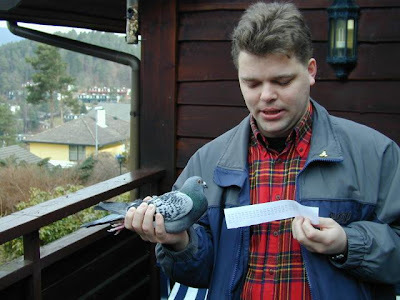 (IP datagrams printed, transmitted via pigeon messages, scanned, OCR-ed and re-assembled). 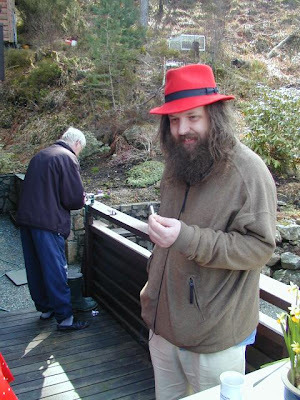 PS: the bloke in the Red Hat [SIC] is Alan Cox, Linux kernel developer.